Set in four acres of fabulous wooded gardens stands the stunning Georgian mansion of Hedgefield House. 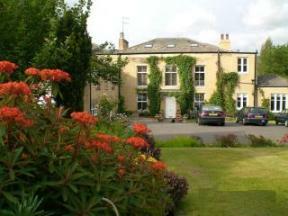 Set in Northumberland countryside, it is a great base for exploring Newcastle Upon Tyne. The Brighton is a centrally located guest house minutes from Newcastle city centre. We are within walking distance of the city centre with good transport links to all nearby attractions. The Lynnwood hotel is a 2 star rated guesthouse located in the west end of Newcastle, just 1 mile away from the city centre. It has excellent transport links to the city. A three star rated guesthouse in the picturesque village of Whickham only three miles from Newcastle city centre and just minutes from the Metro Centre, Beamish Museum, and Newcastle Airport. City Centre apartments, ideal for business or leisure guests, located in the heart of Newcastle city centre. Created, managed and maintained by the owners to meet customer satisfaction. Standing proud for over one century, this beautiful stone house was once a working farm which was part of the Queen Mother's estate. Enjoy the experience of Hedley Hall.